Not Much, the location was fine, walking distance to several excellent restaurants. Great location, helpful staff, able to self cater. Quite a central location. 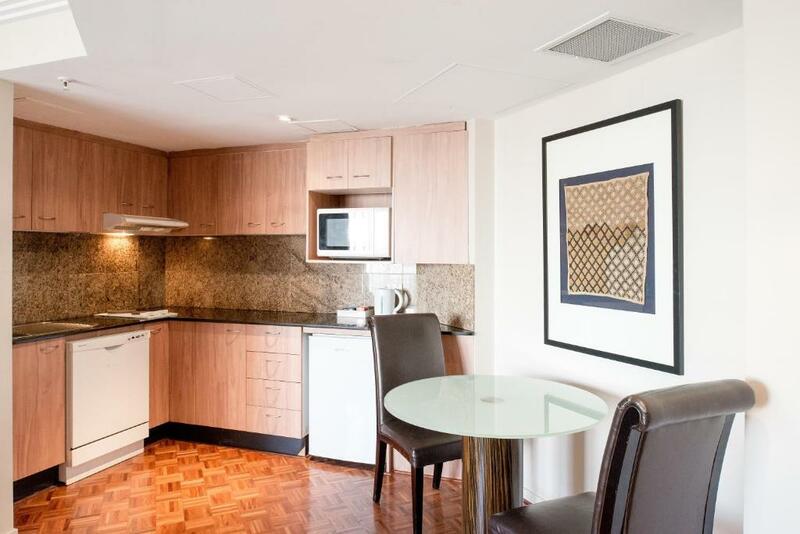 Walking distance to Chinatown, Darling Harbour and George Street. No frills. Great space. Great service. Friendly staff. Bed was super comfy, the bedroom and living/kitchnette was separate, had everything you needed for one or few nights stay but only one extra blanket though. The staff were exceptionally helpful and accomodating. We had a 9 month old infant travelling with us and they went out of their way to ensure that we were comfortable and had everything we needed. The staff were very friendly, professional & helpful. Absolutely spot on location , considering it was 4 minutes from the Convention centre- where our conference was being held. Very close to darling harbour / shops/ dining out. 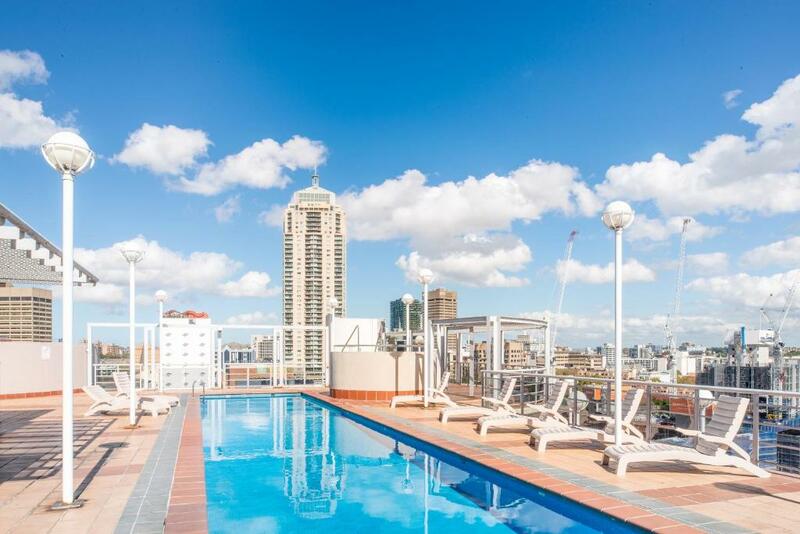 Seasons Darling Harbour This rating is a reflection of how the property compares to the industry standard when it comes to price, facilities and services available. It's based on a self-evaluation by the property. Use this rating to help choose your stay! 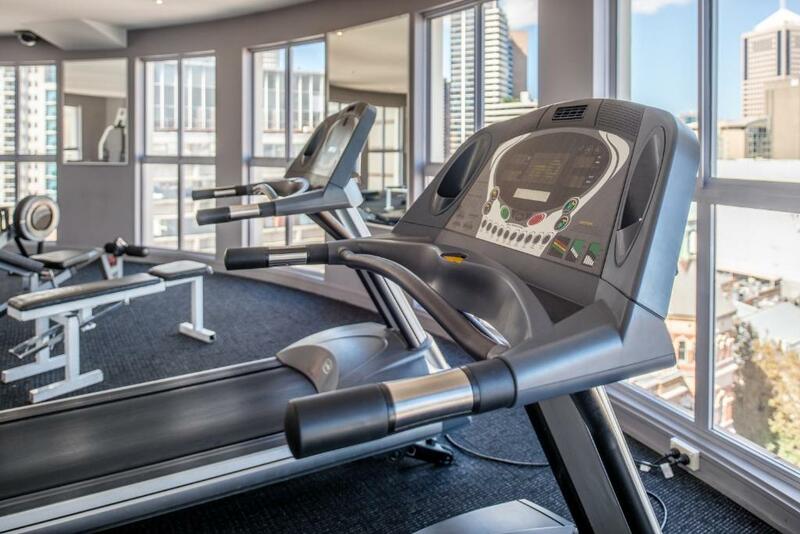 Seasons Darling Harbor is a boutique apartment hotel perfectly positioned at the southern end of Darling Harbor, in Sydney CBD (Central Business District).The International Convention Center Sydney is a 10-minute walk away. 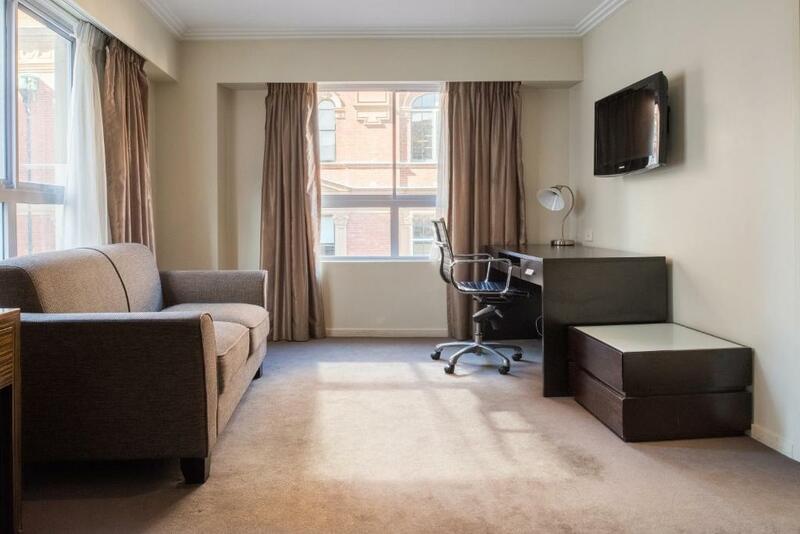 With a selection of hotel suites and serviced apartments, this property is suitable for short or extended stays. 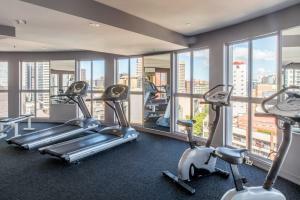 Guests have access to a 24-hour reception, concierge, an outdoor pool and a fitness center. For guests traveling without a laptop, computers with internet are available in the lobby. Seasons Darling Harbor is located within a few minutes' walk from Chinatown, Haymarket, Sydney CBD and train stations. 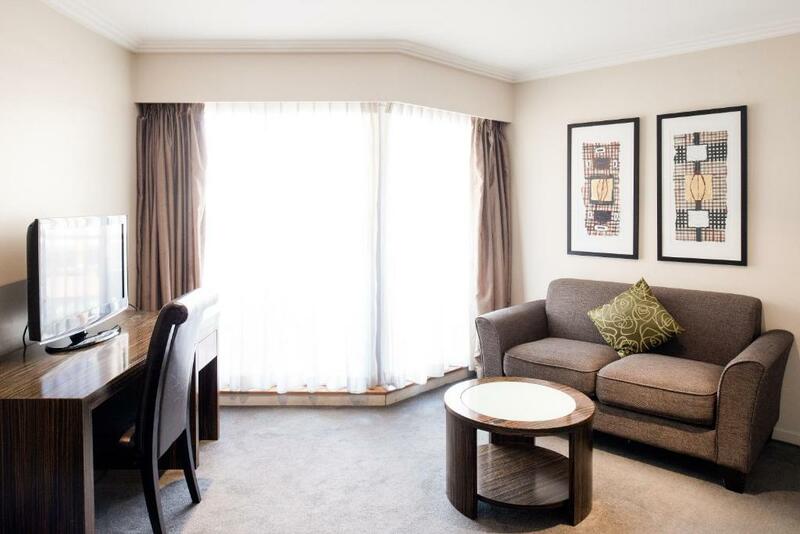 When would you like to stay at Seasons Darling Harbour? This studio has a kitchenette and a marble bathroom. Please note that the rates are based on 2 guests. There is no capacity for additional guests. Public parking is available at a location nearby (reservation is not possible) and costs AUD 45 per day. This spacious one-bedroom suite has a separate lounge area and a kitchenette. This air conditioned apartment offers 2 interconnecting rooms with a kitchenette and separate lounge room. Unwind in the marble bathroom after a day of exploring. Please note that each 2 Bedroom Executive Apartment consists of of two interconnecting 1 Bedroom Apartments, which have individual entrance doors from the outside and a connecting door inside the rooms. House Rules Seasons Darling Harbour takes special requests – add in the next step! A AUD100 damage deposit is required on arrival (around USD70.12). This deposit will be fully refunded 7 days after check-out, as long as there isn't any damage to the property. Debit card Seasons Darling Harbour accepts these cards and reserves the right to temporarily hold an amount prior to arrival. Seasons Darling Harbour accepts these cards and reserves the right to temporarily hold an amount prior to arrival. Please note that there is a 1.3% nonrefundable charge when you pay with a credit card. Payments made on a credit card will be charged in Australian Dollars (AUD). Guest(s) will need to make arrangements at time of booking and prior to arrival if they wish for the accommodations/ incidentals to be charged in a foreign currency. A 1.3% surcharge will still apply in the case the property are requested to charge in a foreign currency. The nearby secure parking station is located on Harbor Street with the nearest crossroad being Liverpool Street. Entry is located to the left while traveling south. The height restriction is 6.6 feet. Please note that parking is subject to availability and you must keep your parking ticket to be validated upon check out. Guests are to use hotel elevators located on B1 or B2. Hotel elevators are clearly marked with Seasons Darling Harbor signage. For Parking: please note that an additional AUD $45 charge will apply for any additional entrance/exit within 24 hours. For further information please contact the property in advance, using the contact details found on the booking confirmation. A damage deposit of AUD 100 is required on arrival. That's about 70.12USD. This will be collected by credit card. You should be reimbursed within 7 days of check-out. Your deposit will be refunded in full by credit card, subject to an inspection of the property. We stayed 4 nights and had clean towels and bathroom products restocked plus table tops wiped but not once was the bed made! Love the location and space in the room. Nothing...it was a great hotel. It’s not clean of the sheet and the bathroom. My back and leg itched whole night, pustules appear on my back. Noisey until midnight. The bed was beyond old and haggard. You could feel the base through the mattress and it sunk down so low you were almost in a pike position. Crawling insects in the bathroom and kitchen area. Toilet cistern valve was faulty, intermittent noise throughout the night and this effected our sleep. The bed consisted of 2 beds joined together. Both individual beds sagged in the middle leaving a high ridge where they were joined, very uncomfortable overall. If we were staying more than 1 night I would have requested another room as this bed was obviously not up to the standard that reflected the cost of the room. All was really good except the bed. It isn’t bad but for long time is not really comfortable. 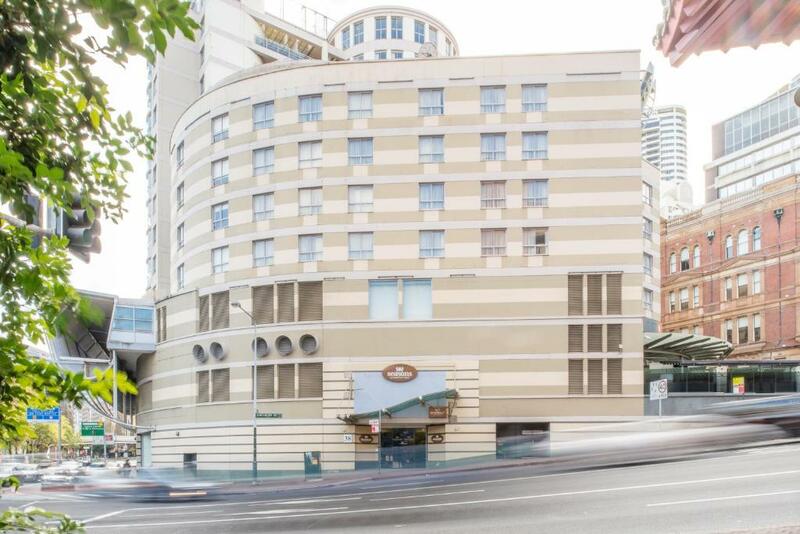 Very good location close to everywhere: China town, Darling Harbour, Town hall, Central station... Room comfortable, bathroom with all necessities. Kitchen perfect and full-equiped. Pool and gym great. Noise from street below was a little annoying. Comfortable room and facilities, great location and fantastic staff. Gym was a bit difficult to get to and from. Our studio room was absolutely huge, very spacious and had everything we needed for our stay. Reception staff were very helpful and accommodating, allowing us to check in with our bags early. Very good value for money, we had stayed in a hostel the previous night and this lovely hotel was much better priced and a lot nicer. Hotel is in a great location to the harbour for drinks in the evenings. So glad we stayed, wished we could have stayed longer.